Bitters are made from a combination of bitter & aromatic, barks, roots, seeds, fruits & flowers. These herbs are then infused in alcohol. 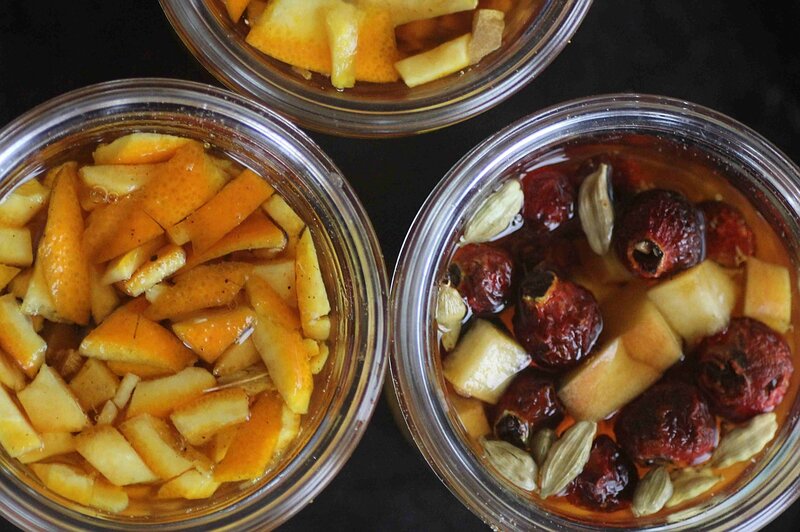 Homemade Holiday Herbal Bitters make lovely culinary gifts and are surprisingly simple to make. Bitter foods have fallen out of favor in a lot of cultures however our bodies crave bitter foods. Our bodies need bitter foods for balanced health. In the good old days, our ancestors would have naturally consumed wilder bitter tasting plants. Think of the dandelions that are spread across North America. This bitter green was brought over by European settlers and used as an important food and medicine for centuries before we deemed it a nuisance weed. Bitter tonics are resurging in popularity for use in alcoholic beverages. One only has to think of the famous Manhattan or During the great depression and also during prohibition, bitters were often used to make moonshine palatable. This is certainly one good way to use them but they can also be mixed with water, juice and other liquids as a pre or post meal digestive aide. If you aren’t used to bitter foods you can begin by incorporating some bitter greens into your salads and soups a bit at a time. Dandelion and chicory are two great options. If you don’t want to make your own, you can purchase digestive bitter tonics. They seem to be available all over the place online. I still remember my first discovery of bitters years ago when I bought a package of Underberg bitters. They come in these tiny one serving bottles wrapped in paper – I honestly didn’t even know what I was buying, the bottles were just really cute. Once tried it though and read up on it, bitters became really interesting to us. Make Your Own Digestive Bitters! 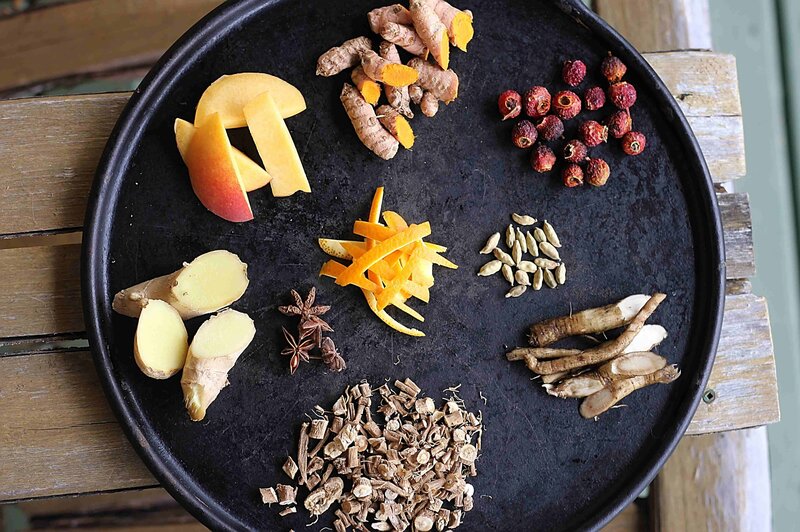 To create tinctures containing bitters, you will want to chop up all of the ingredients and put them in a jar, cover with alcohol and allow to steep for 3-4 weeks. You should shake and test on occasion until you are happy with the results. Generally, the bitter component of this concoction should be about 30-40% of the brew and the rest should be made up with aromatics. Bitters are very strong! 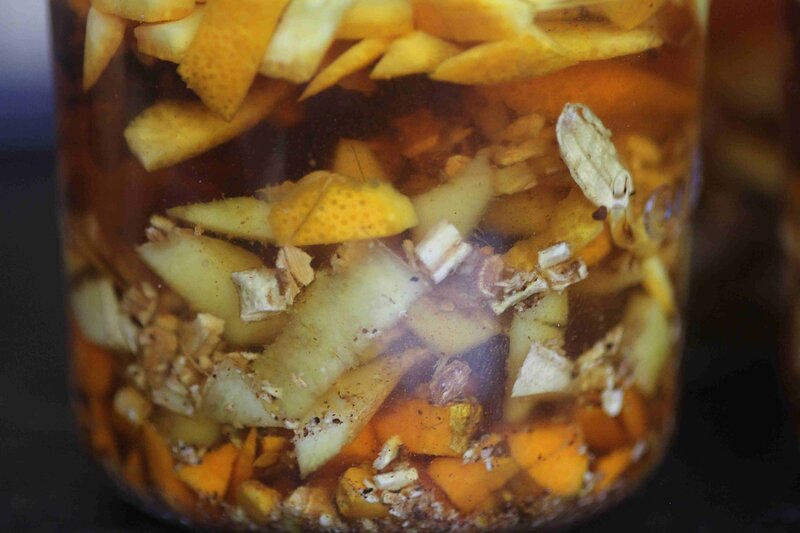 Bitters are often comprised of bark, roots and citrus peel (with the white pith). there are a lot of options and this list is not exhaustive by any means. Plants Feverfew, Horehound, Mugwort, Sarsaparilla, and Wormwood. To balance the bitters you want to add some aromatics. Here are some common options. Alcohol 80-100 proof vodka, Whisky, Brandy, Rum. Note: you can also use apple cider vinegar if you can’t have alcohol. Vinegar tinctures will not be as strong. optional You can add a touch of honey or maple syrup to the finished bitters. Chop up all of your herbs, roots, citrus rinds finely. Avoid using powdered herbs as they can’t easily be strained out. 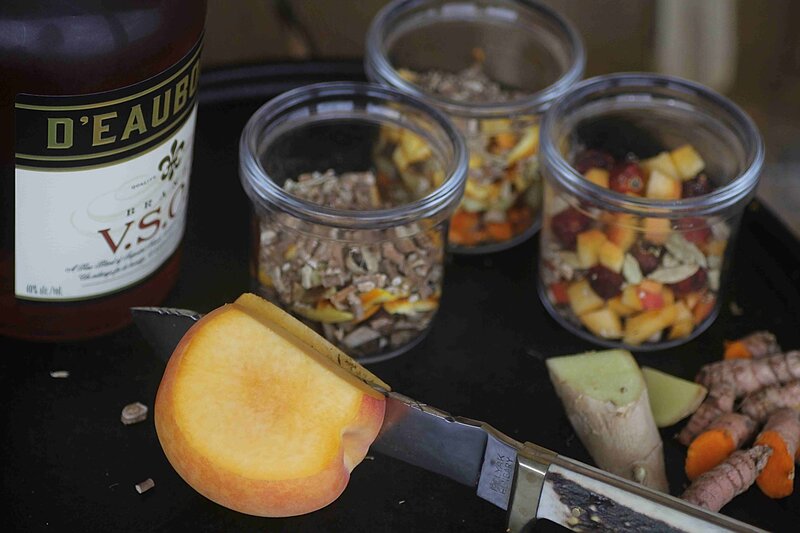 The rule of thumb is that your herb to alcohol ratio should be 1:3. Fill 1/3 of your jar with herbs and the rest with alcohol and you are set. 40% of the herbs we use are bitter and the remaining 60% are aromatics. Bitters are quite powerful so you don’t want to be too heavy-handed, especially when just starting out. Pour the alcohol over the herbs, they should be well covered. Secure the cap and shake well. If using a metal lid place a paper cupcake liner or parchment paper under the lid to prevent erosion. Label with the ingredients and the date and store in a warm sunny spot. Give the jar a good shake every day for two weeks and up to four weeks. Test and continue to macerate if you would like a stronger infusion or strain, bottle, and label. Bitters are well ….very bitter. These are quite strong tinctures and are best when diluted. Add a dash of bitters (5-20 drops) to your favourite beverage. These are some of the bitters that we currently have macerating in the kitchen. 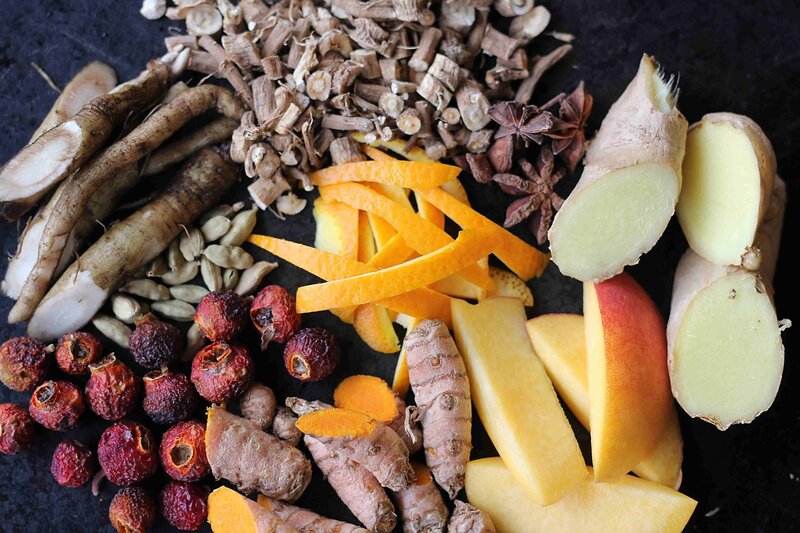 If you are looking to further your herbal knowledge, I highly recommend the Herbal Academy. They offer informative and enjoyable, online, at your own pace way to learn about botany and wildcrafting. 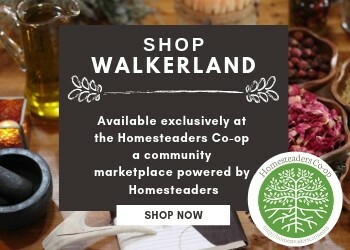 They’ll help you learn how to identify and become more familiar with common wild edibles, herbs, how to craft tinctures, salves and so much more. They also provide many wonderful recipes and tutorials on their website that you can quickly get started with. You can learn more here! The Herbal Academy is also offering a Free Becoming an Herbalist Mini-Course, which is an informative primer for beginners. 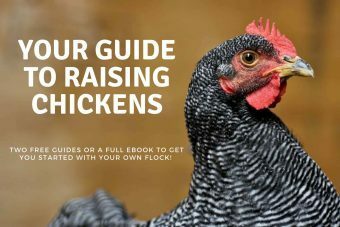 I discovered some local resources that have been really helpful through taking this course. Always consult a herbalist or doctor if you have health conditions, take other medications or are pregnant. If you have gall stones bitters should be avoided. Please use caution when ingesting herbs. Study them, and be certain of what you are gathering. Information shared here is for educational purposes only. I make neither medical claim, nor intend to diagnose or treat medical conditions. You must do your own research concerning the safety and usage of any herbs or supplements.